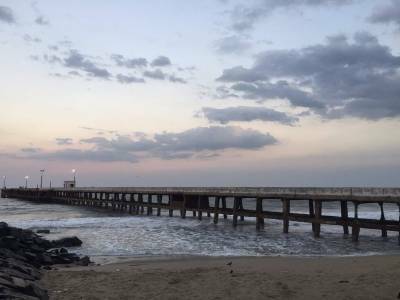 The Seaside Promenade is a greatest tourist attraction in Pondicherry. 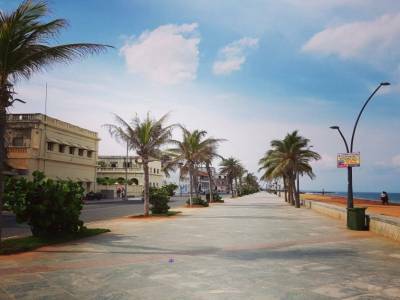 The Promenade is the best walkway of Pondicherry. This is a long concrete road that follows the sea shore. 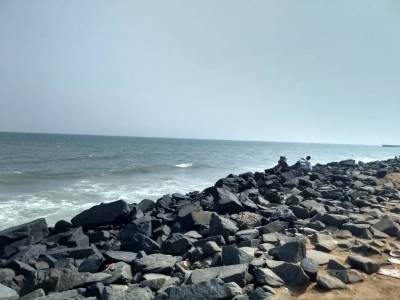 The sea shore is rocky so there is no sandy beach. Vehicular traffic is prohibited in the evenings (after 5:00 PM to Next Morning), when hordes of people and tourists take a walk. The entire Promenade is lined up with concrete benches where tourist can relax and enjoy the sunset. 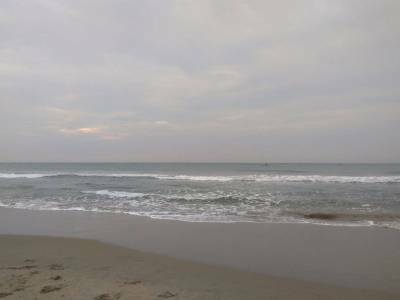 Since this is the east coast, it is cool during sunset, it's breezy and the sea appears blue. 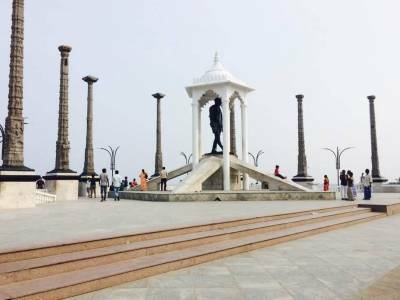 There are several landmarks along this road, there is a French war memorial, the secretariat, the light house, the mahatma Gandhi statue and the port is located at the end of the road. There are a couple of eateries on the road site. The Promenade hotel is located on this road. There is sea side guest house and these are guest houses owned by the Aurobindo foundation, the guest houses have great sea facing rooms. Get quick answers from travelers who visit to Seaside Promenade.